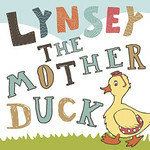 Lynsey The Mother Duck: What's My Password? Well, it has been a while. Months. Never before has a blogging break lasted so long (well for me). I guess it is like any hobby, you get out of the habit of doing it, longer you leave it - the harder it is to return to it. You wonder where you can start? Then it becomes a task. So you put it off again. "My biggest reason for not giving up: No matter how hard it is to keep going, it is nothing compared to how hard it is to start over." How true is that quote? I have already put so many hours and dedication into making my blog flourish, was I prepared to let a few months break put me off of my stride? Put me off of writing? The one thing I have craved to do my whole life, that I was starting to make a reality? So, a quick sum up of why the break happened. I think it was clear from my, few and far between, blog posts after March this year that life was stressful for me and my family. Infact 2013, months one through six, were some of the most stressful we have encountered. This was devastating given I started that January 1st so optimistic. I think we all wondered if we would make it through the economic hit, but our crux was definitely this period. Then came our Florida dream holiday. Already committed to at a time when we thought things were going to be fine. It was something that came around quickly and I found myself both looking forward too, we were going to accomplish a dream I had held for J1, and yet dreading - wondering what life I would return home too. I think a guardian angel must have finally picked up on our pleas. July saw a turnaround for our family life. Slowly but surely we have picked ourselves up, dusted ourselves off and worked our tails off making sure that we do not find ourselves in such a vulnerable position (ever) again. Day by day, my mind is starting to settle a little. Room for creativeness is starting to creep back in. Things that we had planned, that had to be shelved are slowly starting to take shape. Things are getting done. We can start to move forward again instead of gasping for air just trying to survive. As the stress levels come down, the children are not feeding off of the negative air and behaviour is improving. Time is returning bit by bit and gradually my head is starting to venture into the territory that yes, maybe I will be in a position to write once more. Bit by bit. Step by step. Word by word. Lynsey The Mother Duck is back. This all sounds very positive. I'm glad you're back and giving it a go again. I don't know about you, but I find blogging so therapeutic. However I have had the other 6-week patch when I wonder what it's all about! Good luck with everything. Onwards and upwards! I sense something was going wrong for you and spoke to someone at #BritMumsLive about it to try and work out if I was right. So pleased to see you back. I don't know if you remember but my last Summer was full of crises and it is such a tough time when various bad things hit at once but look at you rising like a phoenix from the ashes. Look forward to reading you and knowing you better. Always , always reach out for support - that shows great strength. So glad to read you again. Our blogs can be an extension of ourselves, and if we, or life, feels overwhelming, sometimes I think it can be difficult to blog without it feeling like just another thing on the to do list. (So not the point for something that is meant to be an enjoyable hobby!). Good for you for taking the time to step back and release yourself and even more so, hurrah! that you are back and feel able to write again. I agree with you hugely about the bloggers and writers group and Older Mum - both very inspiring. Made me think that even if you're not writing blogs it's always worth continuing to read -sometimes it only takes one person to inspire us or move us in a different direction. You're in the tots100 widget today, so I popped over to see how you're doing. I hope the break doesn't mean that things have deteriorated, but rather than you've been off and about enjoying the glorious weather this summer.